Rovers booked a place in the next round of the Checkatrade Trophy with a victory over Yeovil Town at the Mem on Tuesday night. Alex Jakubiak grabbed the first goal of the contest in the second half, as Alex Rodman added to the goal tally late, to allow Rovers to secure a berth in the knockout stage of the competition – with a group stage fixture against Exeter remaining. 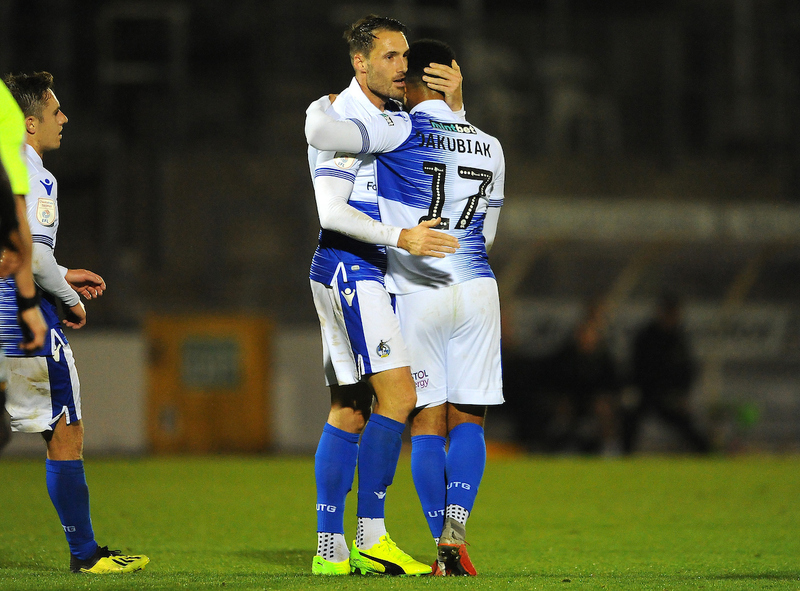 Striker Jakubiak latched onto a superb low cross from Kyle Bennett, lifting a delightful first-time finish into the top corner, before Rodman fired home from range in the closing ten minutes for his first Rovers goal – as Rovers rounded off an impressive display to take all three points on offer. For the encounter, Rovers listed seven changes for the visit of Yeovil Town. Defender James Clarke was handed the armband for the fixture, slotting into a Rovers defence that included Tom Broadbent, Michael Kelly and Daniel Leadbitter. Also included in the starting XI was Alex Rodman, as the winger made a welcome return from an injury layoff, whilst Alex Jakubiak was tasked with leading the attacking Rovers presence. As both teams used the opening exchanges to settle into the game, early chances were few and far between. The first opportunity of the game was crafted by a dazzling run down the left by Alex Rodman, as the winger evaded a challenge by Tom James and was allowed to cut inside the Yeovil area. Rodman crept closer to goal and stuck a powerful shot that Yeovil ‘keeper Nathan Baxter had to push away from goal with a reaction save. Rodman’s chance signaled a good spell in the game for Rovers, as Alex Jakubiak rushed forward with the ball a directed a low effort into the side netting. Shortly after, following a flowing move down the right, Sam Matthews guided the ball to the feet of Jakubiak inside the area and the striker swiftly launched a shot towards goal that had to be tipped around the post by Baxter, in what was fine stop by the Yeovil goalkeeper. With a tightening grip on the game, Rovers continued to ask questions when in possession, as Ed Upson drifted a long-range attempt that narrowly missed the target from thirty-yards – Liam Sercombe also took range from a similar distance and lifted a well-struck attempt over the target. While in a commanding position, Rovers almost gifted Yeovil the lead on the half-hour mark. A slack pass by Ed Upson inside the final third fell straight at the feet of Alex Fisher. The striker had ample space and time inside the Rovers penalty area to muster a shot on target, by Jack Bonham sprinted off his line to close the angle and was able to pounce on the striker’s eventual effort to deflect the ball for a corner. As the first half edged closer to the interval, the visitors were on the verge of being reduced to ten men as Rhys Browne almost picked up a second booking for a cynical challenge on Daniel Leadbitter – but the Yeovil midfielder was granted a final warning by the match referee. Into the second half and there were early signs of danger for the home side. A searching pass forward ran into the path of Alex Fisher, as the striker again found himself one-on-one with Bonham, with once again the Rovers ‘keeper showing good instincts to dash off his line and close the angle to make the save to deny Fisher. Immediately at the other end, Rovers managed to grab the first goal of the encounter. A quick break down the right saw Kyle Bennett break free into the final third, as the winger drafted a low cross into the near post that steered into the top corner by a smart first-time finish by Alex Jakubiak. With an advantage in the game, Rovers still had to be alert at back to thwart advances by Yeovil. A tricky corner that was aimed into close proximity of Jack Bonham caused Rovers issues, as Alex Fisher managed to power a close-range header towards the target that was deflected over the crossbar by a fine reaction block by Ed Upson. Rovers stretched chances to extended their lead, as Daniel Leadbitter exploited space down the right and assembled a low cross into the area that narrowly missed Kyle Bennett, with the winger poised to touch the delivery towards goal. 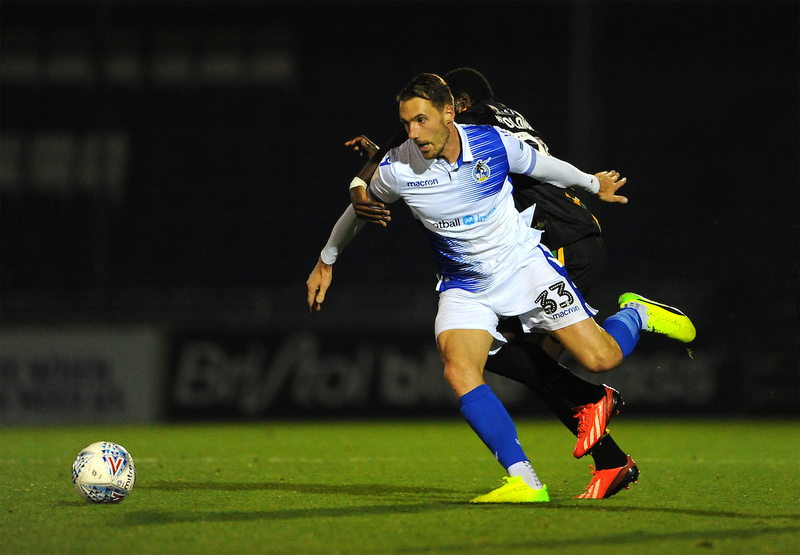 In the closing stages, Rovers protected their lead with little threat. The home side added the security of the second goal as an effort from long-range by Alex Rodman took a deflection that saw the ball fly out of the reach of Baxter in the Yeovil goal that capped an all-round solid display from Darrell Clarke’s men. Rovers XI: Jack Bonham (GK), Daniel Leadbitter, J.Clarke (c), Tom Broadbent, Michael Kelly, Ed Upson, Liam Sercombe, Kyle Bennett (75′ Tom Nichols), Sam Matthews (86′ Luke Russe), Alex Rodman, Alex Jakubiak (87′ Deon Moore). Subs: Adam Smith (GK), Alfie Kilgour, Rollin Menayese, Luke Russe, Cameron Ebbutt, Deon Moore, Tom Nichols. Yeovil XI: Nathan Baxter (GK), Carl Dickinson, Bevis Mugabi, Rhys Browne (45′ Omari Patrick), Alex Fisher (73′ Yoann Arquin), Jake Gray, Jordan Green, Alex Pattison, Tom James, Olufela Olomola, Shaun Donnellan. Subs: Steve Phillips (GK), Gary Warren, Omari Patrick, Gabriel Rogers, Yoann Arquin, Tyrique Clarke, Daniel Ojo.